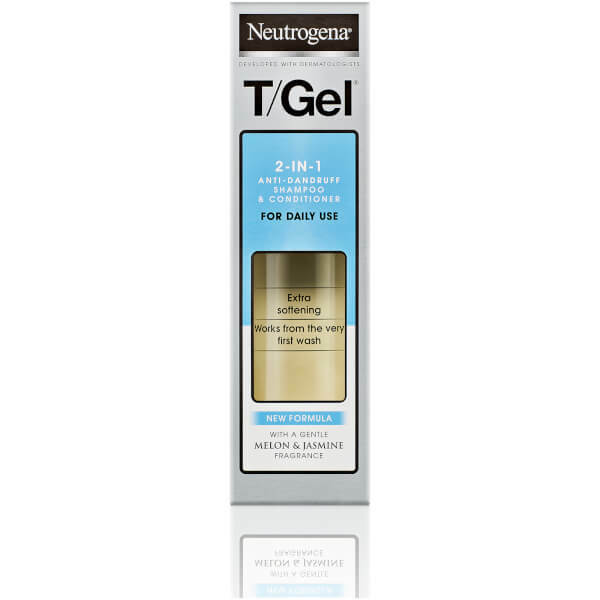 Refresh the hair and scalp with the Neutrogena T/Gel 2-in-1 Dandruff Shampoo Plus Conditioner; a convenient 2-in-1 formula that combats unwanted flakes and dandruff to leave hair visibly healthy. 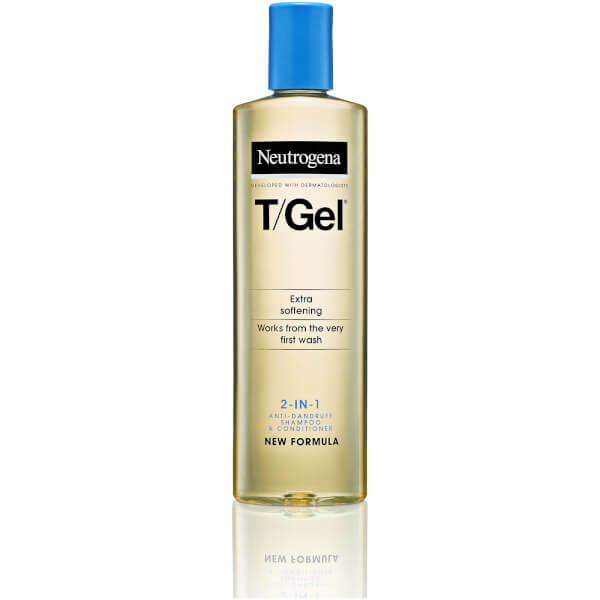 The gentle formula is suitable for all hair types and can be used safely on colour-treated hair. Enriched with Vitamin E, the clinically-proven formula effortlessly lathers into hair and thoroughly cleanses the fiber, whilst conditioning agents thoroughly nourish and soften locks. 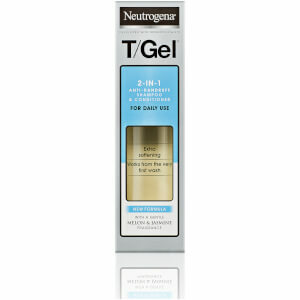 The formula offers instant dandruff relief, which quickly relieves and eliminates itching and flakiness at the scalp. Complete with a refreshing scent, the dandruff shampoo and conditioner leaves hair touchably soft, manageable and flake-free.